Choco Weddings - Wedding Planner Piazza Principe Umberto 6/a - 06089 TORGIANO (Perugia), Italy - Tel. 39 075.7922736 Direct +39 075.9880180 FAX +39 075.7823269 Mobile +39 339.6553588  ChocoWeddings provides event coordination for every kind of celebration in Italy. If you are getting married in Italy, we will help make your wedding reflect who you are, whether classic, modern, traditional or unconventional, creative or adventurous. 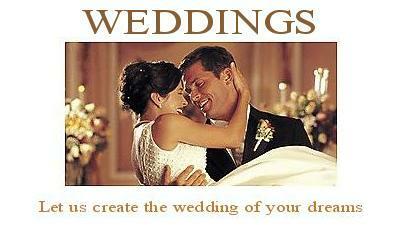 We will help create a wedding that is perfect for you and vow to carry out your vision with care. We arrange legal, religious, symbolic destination weddings in Italy: Tuscany, Amalfi Coast, Assisi, Firenze, Rome, Venice and Taormina. Roseo Hotel Assisi Via G. Renzi, 2 - 06081 - ASSISI (Perugia) Tel. +39 075.81501 Fax +39 075.815272  Centrally located just 500 meters from historic center and the Basilica of St. Francis. The hotel boasts a total of 155 rooms, a SPA, a wellness center, conference centre, a large covered garage, a private coach parking area, n.2 restaurants, banqueting facilities, wellness centre with heated indoor swimming pool and even a romantic panoramic roof garden, park.